HelpHound Blog: Estate agents - move NOW! 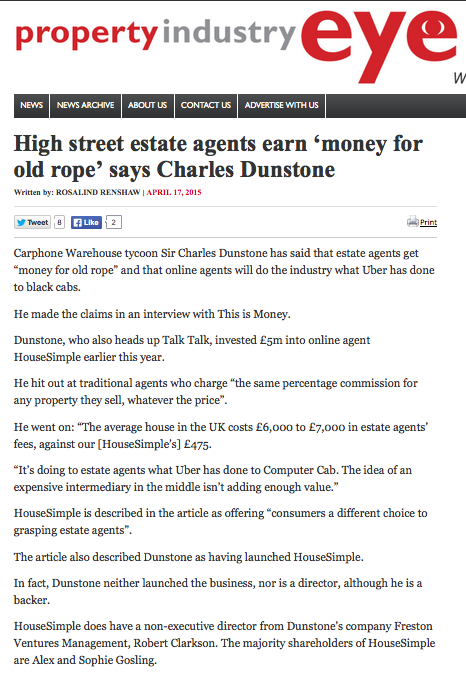 Now, it would be easy to dismiss this as PR puffery, but £5 million buys an awful lot of PR, and journalists (and bloggers...) will listen to Charles Dunstone. 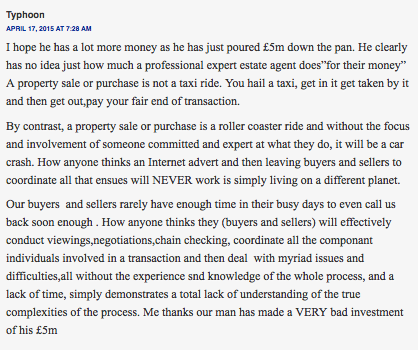 If conventional (we call them 'full service') agents are going to stand a chance of withstanding this onslaught (and convince Joe Homeowner that selling property is just a tad more complex than booking a taxi) they had better recruit their chief advocates now. Their 'chief advocates'? Their clients, of course. 'Typhoon' makes some good points here, but his opening line is telling: Charles Dunstone's estimated wealth is £1.49 billion. He can afford to follow up on this investment. Carphone Warehouse became the financial success it was because it generated the cash to pay for the marketing to drive its growth. The simple fact of the matter is that estate agency is going to carry on getting more and more competitive, and one of the very few things that separates a great agency from a not-so-great agency is the opinions of their clients. To not show those opinions to prospective clients is to fail your business.